One of my favorite parts about living in the Northeast is the opportunity to see a brand-new part of the country I haven’t seen before. We’ve done some traveling around MA, ME and RI, but we’ve mostly stayed on the coast. 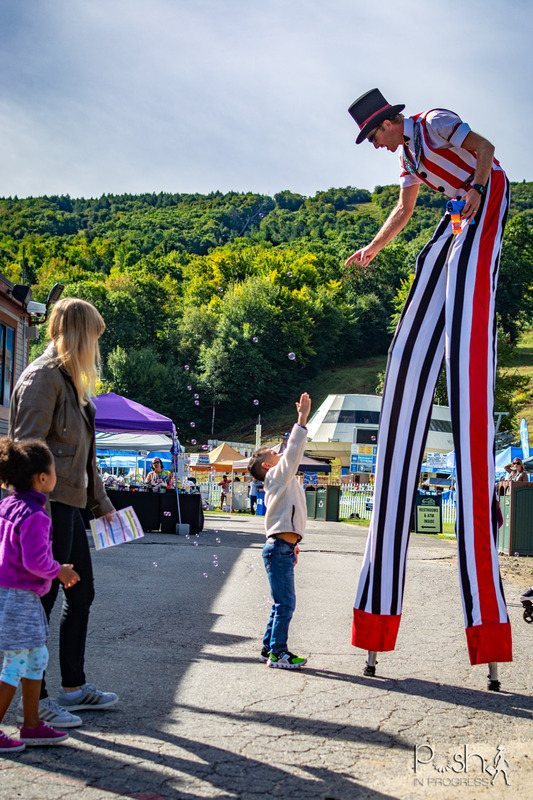 This past weekend, we had the opportunity to travel to Wachusett Mountain for their annual Kids Fest. Our friends at MEFA and Fidelity invited us to attend, and I’m so glad we were able to make the trip as our kids absolutely loved attending! If you have the chance to attend in the future, I’d highly suggest it. Read on for some of our trip highlights. If you haven’t heard of Wachusett Mountain, it’s about an hour northwest of Boston. They have a sky area and host events there throughout the year. The drive is not the straightest, but it is quite beautiful. Quickly, we were outside of an urban environment, surrounded by so many trees. We passed a lot of small, quaint little towns as we made our way to the Wachusett Mountain Kids Fest. When we arrived, we were able to find parking very close to the entrance to the event. As we walked in, we were greeted by a man on stilts dressed in the most patriotic get up. He was blowing bubbles and he even took the time to give my son a major high-five. Rocco had to jump a few times to finally reach his hand—he got such a kick out of it. As you can see from the picture, we had great views of the mountain and the sky runs! The event had lots of vendors, activities for kids, and great food options. One of the highlights for our kids was a tent that had an obstacle course set up. Basically, it was an obstacle course for the kids. 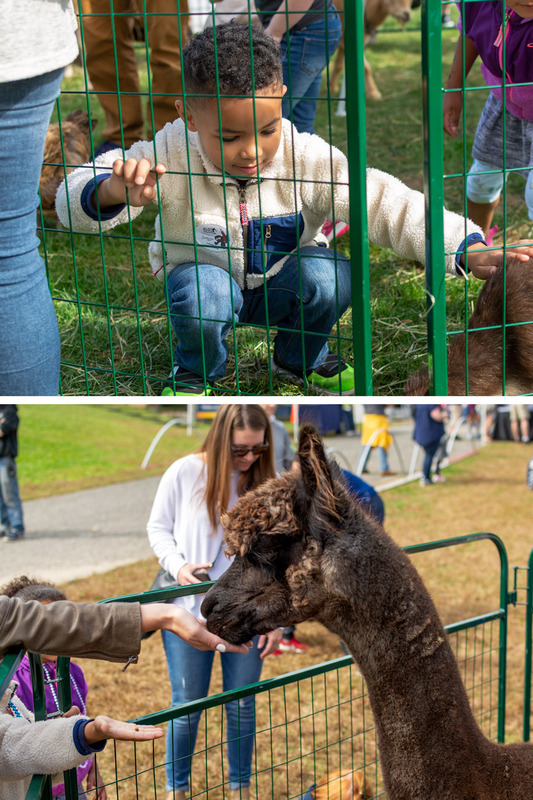 There were also two different areas to pet animals. My son loves animals, so he was pretty excited to feed the llamas. 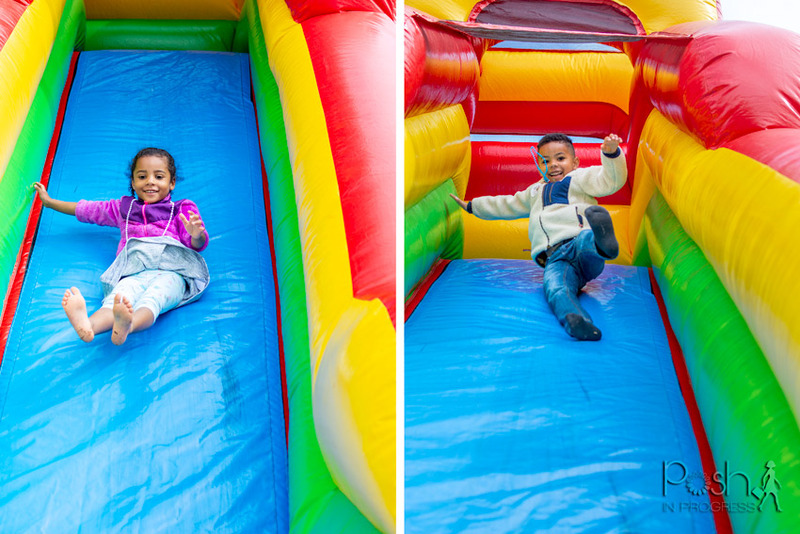 The kids also loved the giant blow up slide and went down several times. 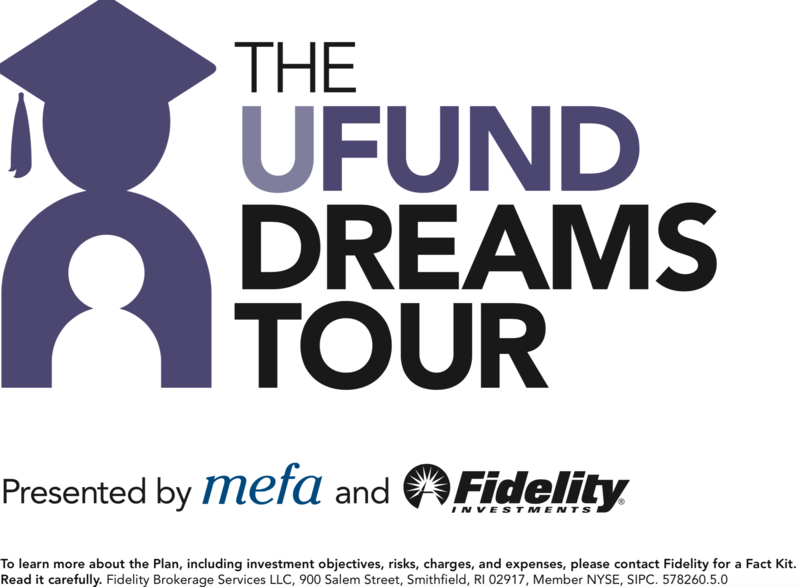 The event also featured the U.Fund Dreams Tour, which offered fun activities for the kids. 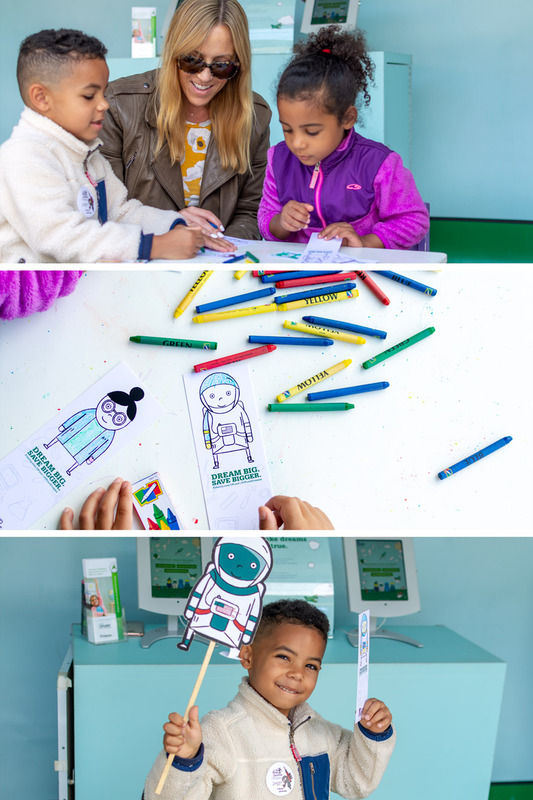 My kids loved the photo booth and getting to color their own book mark. For parents, we had the chance to speak with a financial expert to learn about MEFA’s 529 college savings plan and how it offers control and flexibility of our savings. Plus, it’s easy to set up and affordable, allowing great tax benefits for my family. Getting to chat with these financial experts definitely raised awareness of the importance of investing in a college savings plan and how it’s best to start saving from an early age. 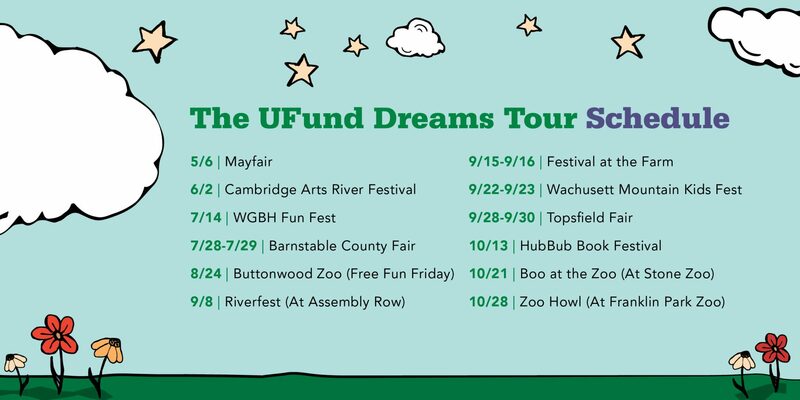 If you’d like to visit the U.Fund Dreams Tour tent, here is a list of some of the upcoming events. Overall, we had a great day at the Wachusett Mountain Kids Fest and we’d definitely head back next year. I like your long straight hair, Stacey!